Brushed Stainless Steel Hardware Set | Arches Trading Co. 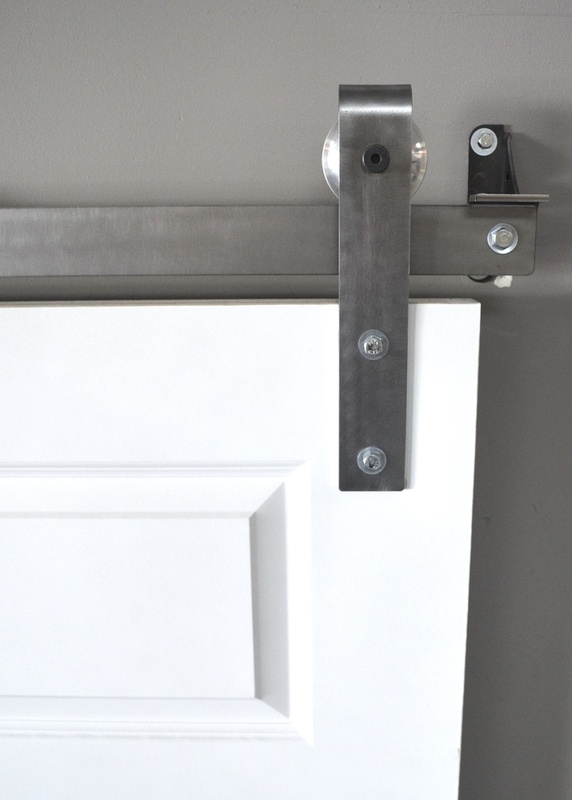 This brushed stainless steel look will give your barn door setup a unique, modern look. Get yours today! 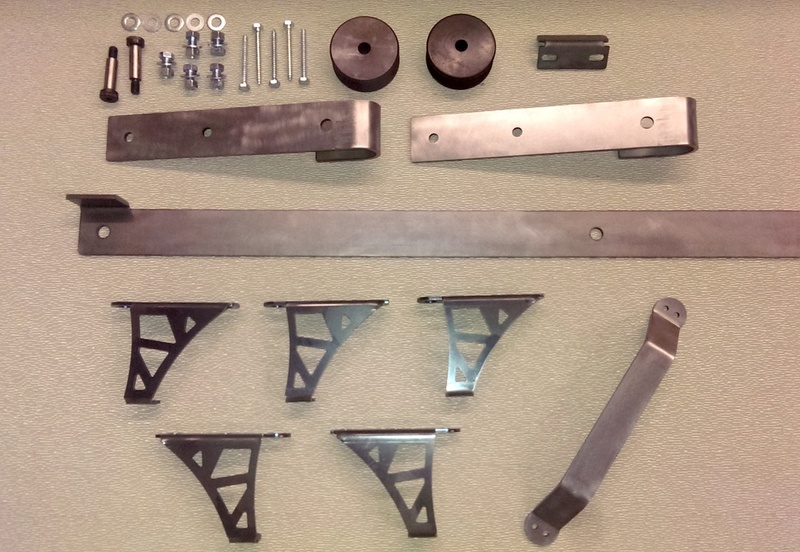 This hardware set comes complete a 6' or 7' track with pre-drilled holes, hangers with wheels, wall mount brackets, floor guide, a handle, and all nuts & bolts to complete installation.